Lets Indulge – Nomadic Gamers, eh! I know it’s hard to believe, but some times I just don’t feel like playing an MMO. 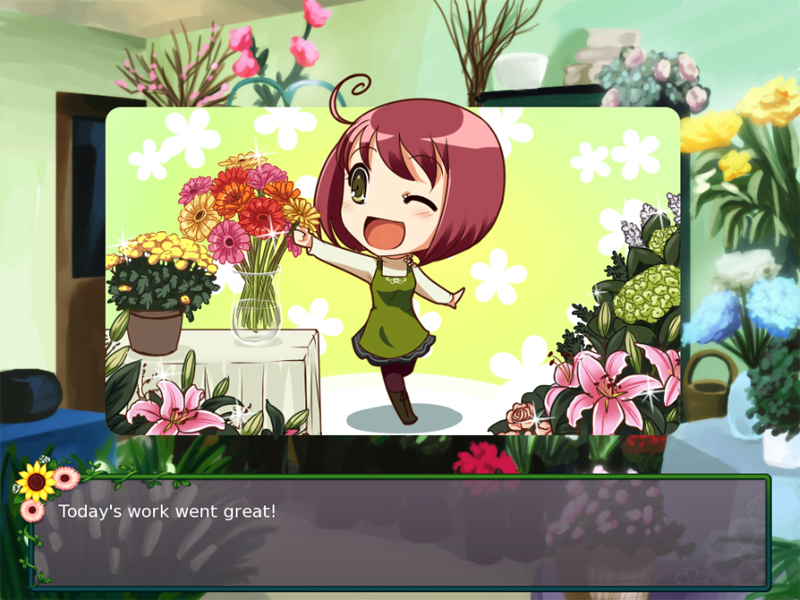 There are a handful of games that I absolutely love to indulge in, and my latest is a game called Flower Shop: Winter in Fairbrook. It’s a dating / farming simulation game – I know, I know. Laugh away. These visual novels (also known as otome) don’t typically include a lot of actual game play, but a well done one is fantastic and can keep me entertained for hours. The one I was playing before this was Magical Diary (also on steam), which is where I first discovered that I really enjoy these types of games. Is there a game that is a bit off of the beaten path that you enjoy playing? I have a small handful of friends who also enjoy these types of games, but it’s not exactly a popular genre in my circles which can make finding these gems difficult. Have you ever tried a genre that you had never heard of before and then found yourself completely enthralled with it? Let me know below in comments!